When you are a startup, there many things to consider such as competition, financing, resources and pricing. However, registering your trademark can remove one such big worry from your mind. What is a trademark? A trademark, by definition, is a unique symbol, word or phrase that is registered legally to represent a company, a service or a product. It identifies and distinguishes a company and its products from other competitors. Consumers are influenced by brand value and often end up being loyal to one or two names in the market. Here are some reasons why trademarks are so important. Safety against identity theft: If a company registers under the same name for a trademark as another, then the ownership goes to the one with the trademark. The cost of litigation not only leads you into spending tens of thousands of rupees but also causes a lot of damage to your business image. Recently, the Bengaluru-based online shopping giant Flipkart filed a case against a “copycat” firm FlipkartDiscounts, for copyright and trademark infringement. FlipkartDiscounts was accused of misleading customers by using a similar name, listing discounts on its site and directing them to various other ecommerce portals such as Flipkart, Snapdeal, Amazon, and Paytm. Flipkart won the battle with the Delhi High Court passing an order, restraining the dubious company from redirecting consumers to other sites. 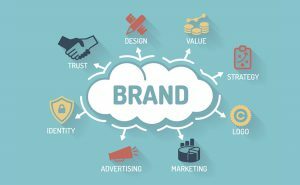 An effective communication tool: A symbol or logo goes a long way in holding the essence for a business, regardless of the language or country. For example, the Nike “swoosh” design is recognized globally. Easy to identify While out in the market, consumers don’t have a search button to help them find what they want. This is where a trademark comes in handy to pick from a large basket. Internet friendly Today, the world is packed into a Smartphone. What most people enter into search engines are brands, when looking for products or services. More searches and hits effectively translate into more brand value. A valuable asset: Brand value can grow immensely with time. Trademarks work wonders if you are planning to cross-sell, cross-over, or expand into other industrial sectors. For example, a clothing label can easily appeal to consumers in the accessories market. Employment opportunity For the job hunters, a brand can be a very attractive prospect. It is a positive inspiration for candidates who feel privileged to be associated with a prestigious brand. For example, working at Apple or Google . How is a trademark registered in India? Once we know the importance of registering trademarks, the next big question is how is it registered in India. However, before applying for the registration, do your homework, and check the uniqueness of your business name, logo, or anything else you wish to register. There are trademark specialists who can be hired for this purpose. Also, once the name gets a green signal, it is a good idea to file the trademark application before you actually market it in the public domain. Here is a stepwise guide to the process as per the Trademark Act, 1999. Step 1: File your application with the Registrar of Trademarks. The place of application will correspond to the place of business. Step 2: The application can be filed by the proprietor of the firm, either in his own name or in the name of his business entity. Step 3: The application has to clearly mention the class under which the product or service needs to be classified. Schedule 4 of the Trademark Rules, 2002 provides a classification of goods and services. Step 4: A fee of Rs. 4000, per trademark, has to be paid to the Registrar of Trademarks, only after the registration has been approved. The trademark that needs to be registered must be unique or distinctive minus any blasphemy or obscenity. There should be no reference to a living person without his/her consent or the consent of his representative. The entire registration process takes 18 to 24 months from the date of application. Once an application for registration is received, it is advertised widely, so as to solicit any conflict or opposition. If a conflict arises, the applicant is required to defend his trademark within 2 months from the date of receipt of written opposition. In case no opposition is received within 3 months from the date of advertisement, the registrar issues a certificate of registration, approving the trademark. Brands are of great importance to the image of a company. As a startup, it is worth investing time and money on trademarks when launching a new product into the crowded market, especially with the number of ‘me-too’ businesses increasing.